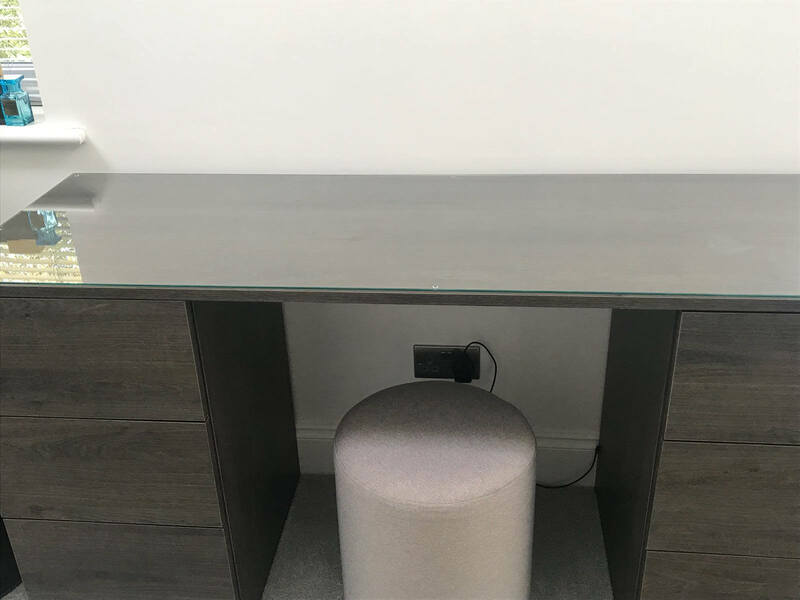 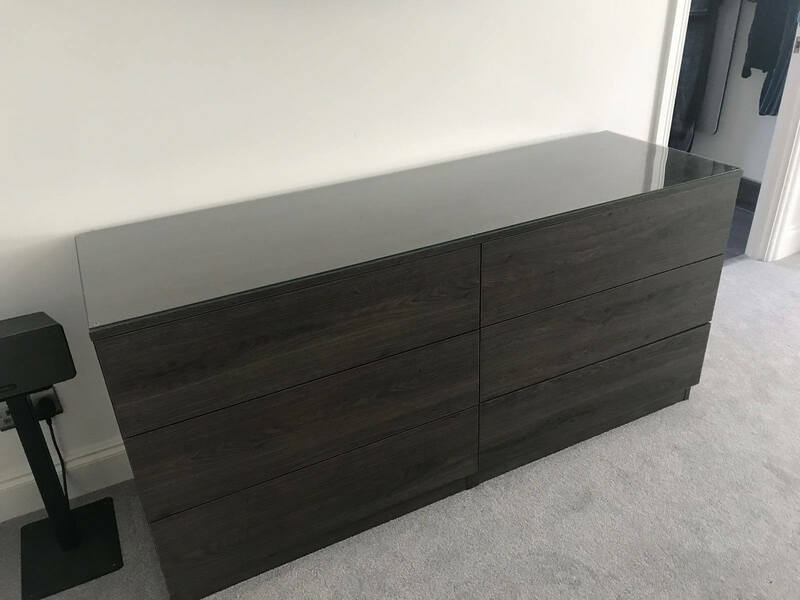 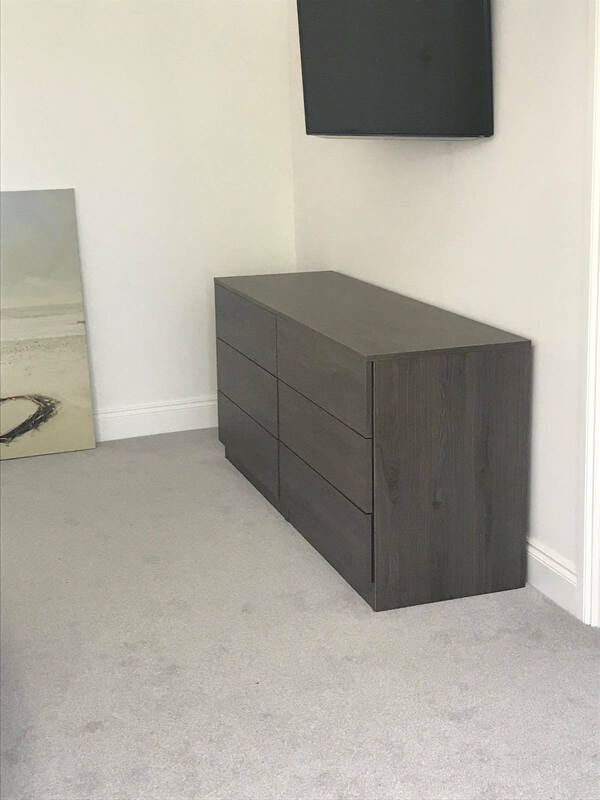 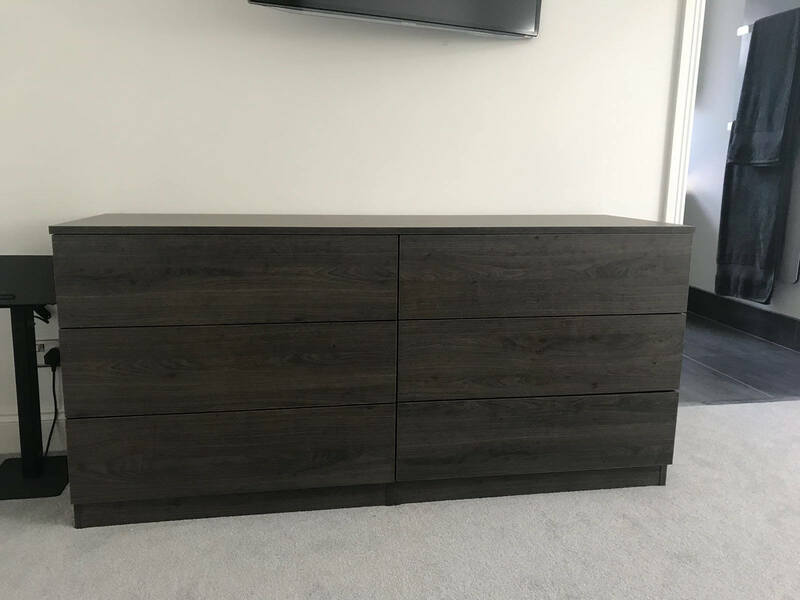 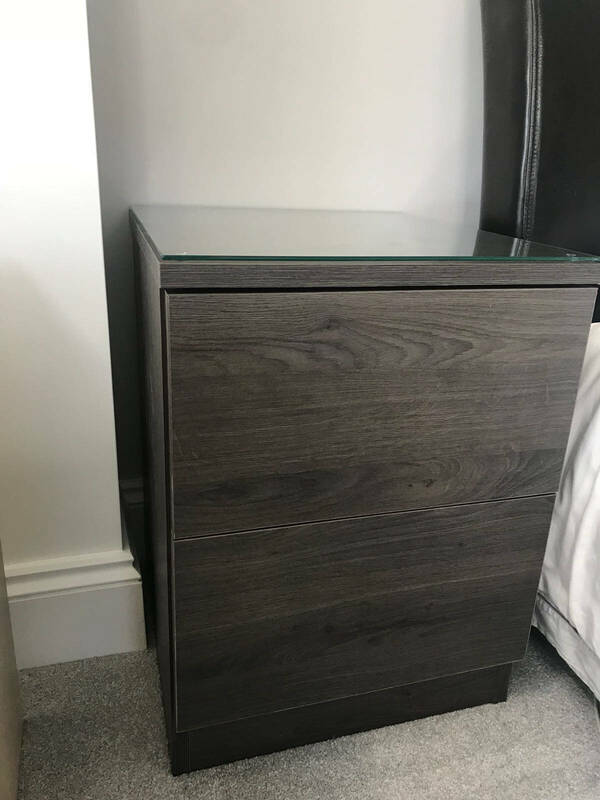 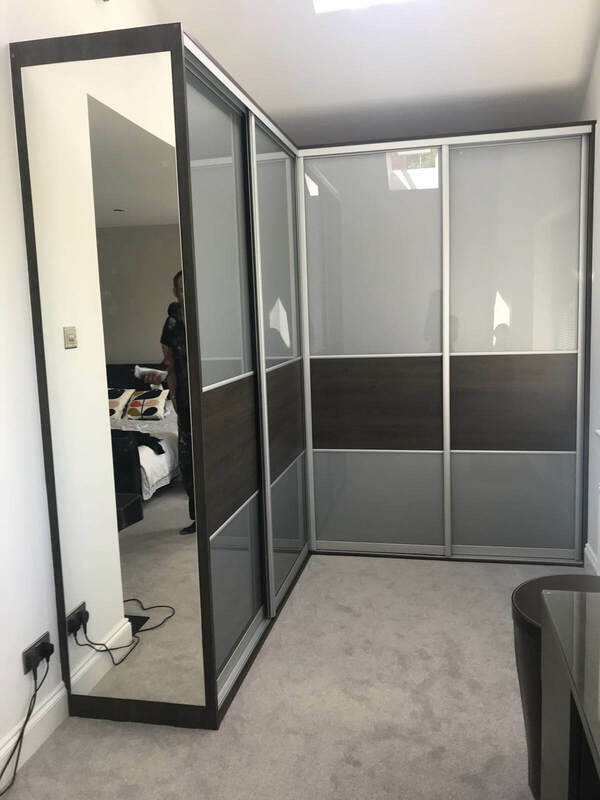 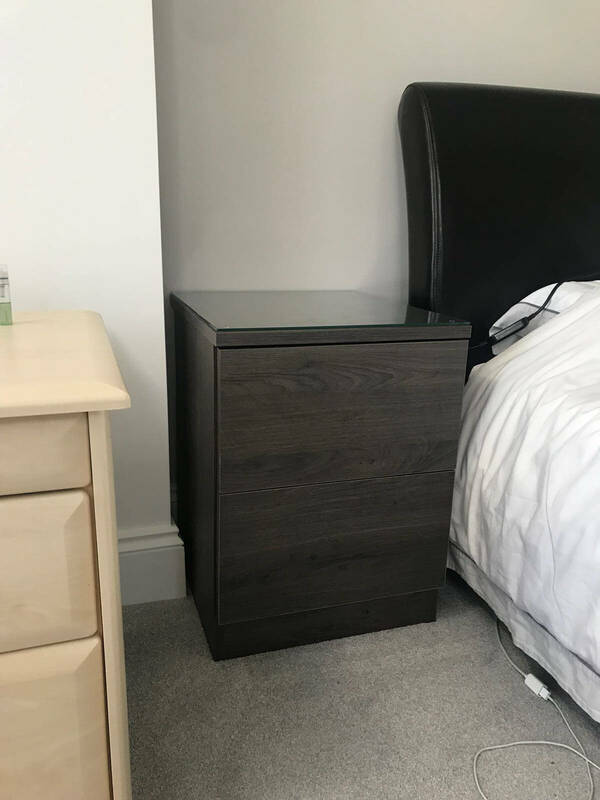 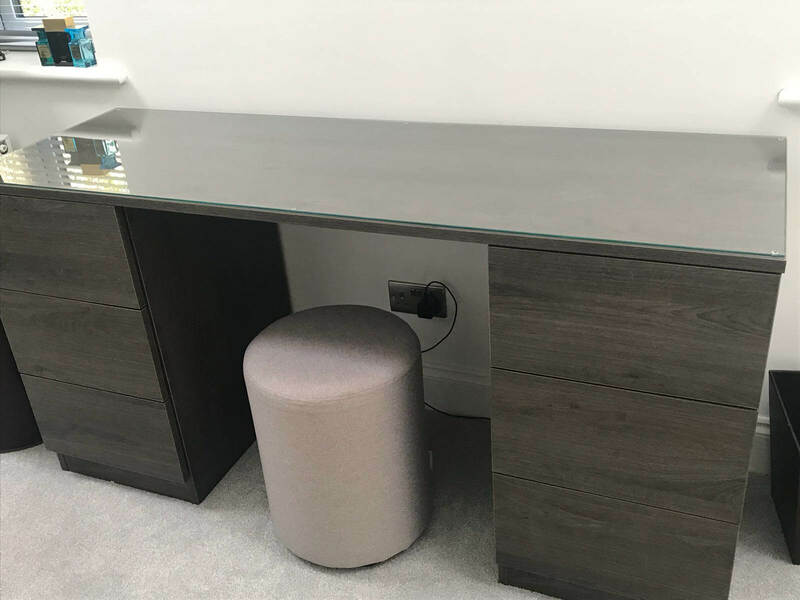 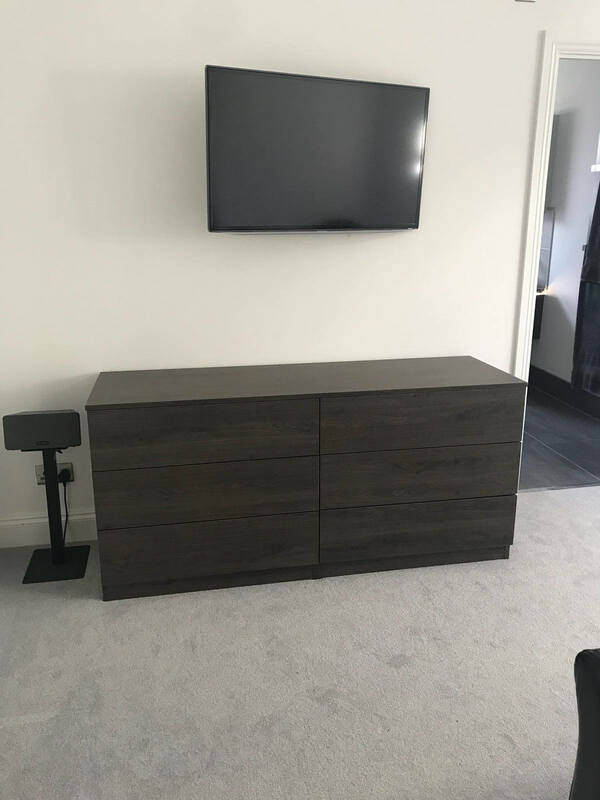 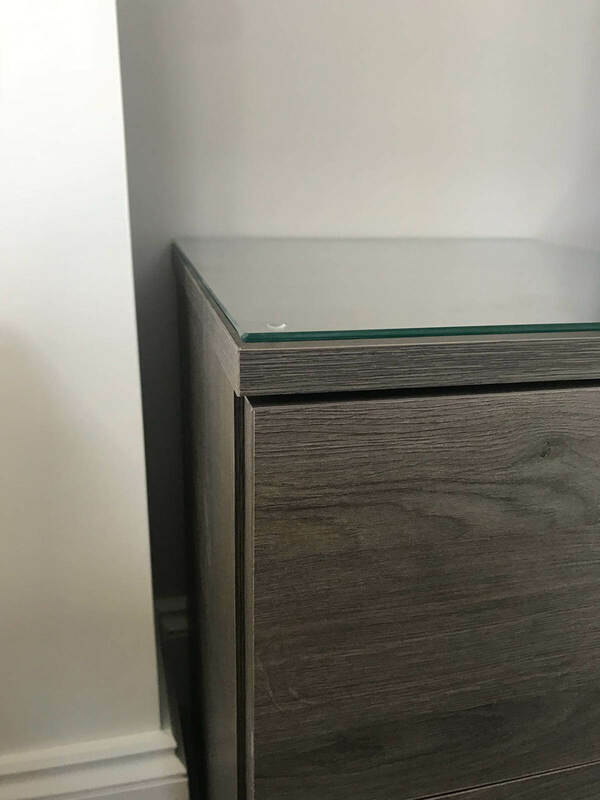 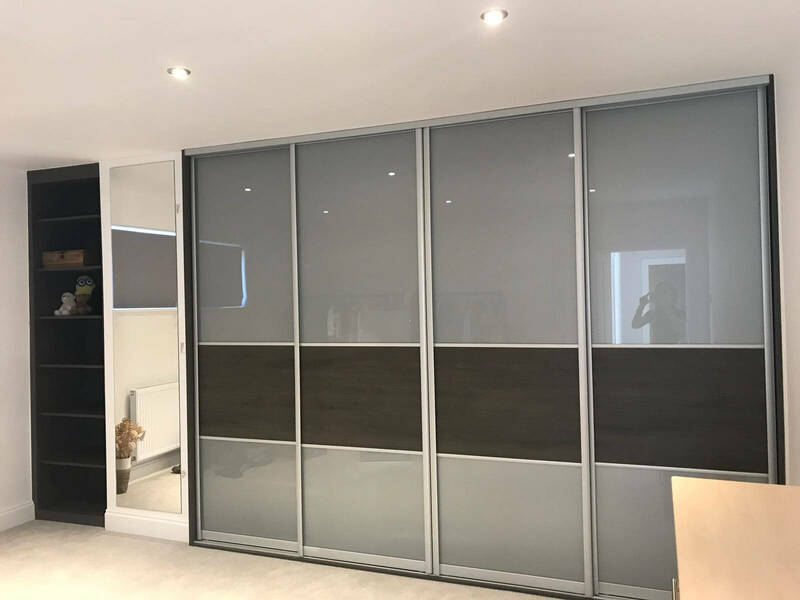 Our recent client was looking to modernise their bedrooms after moving in with minimal storage. 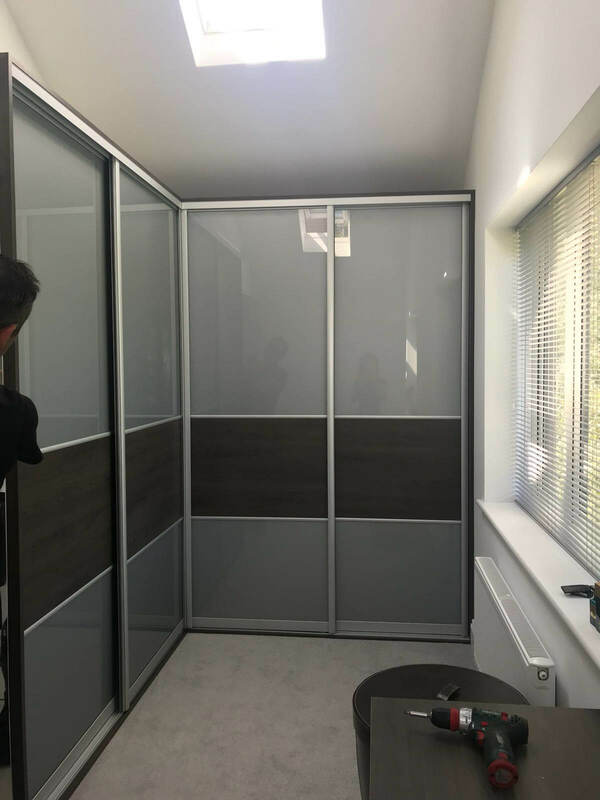 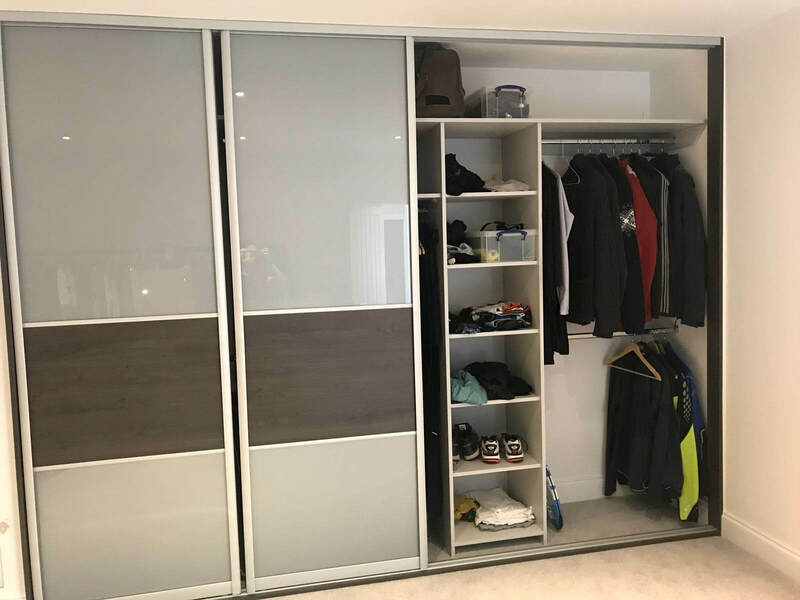 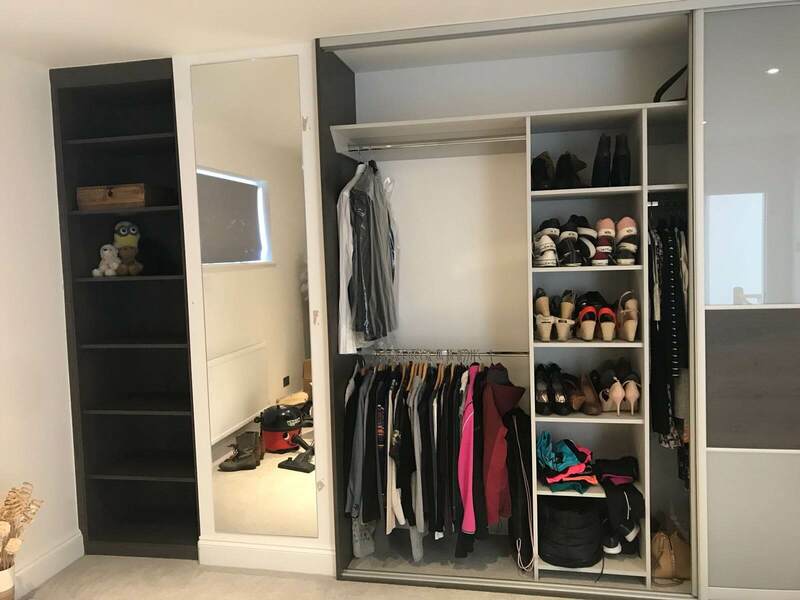 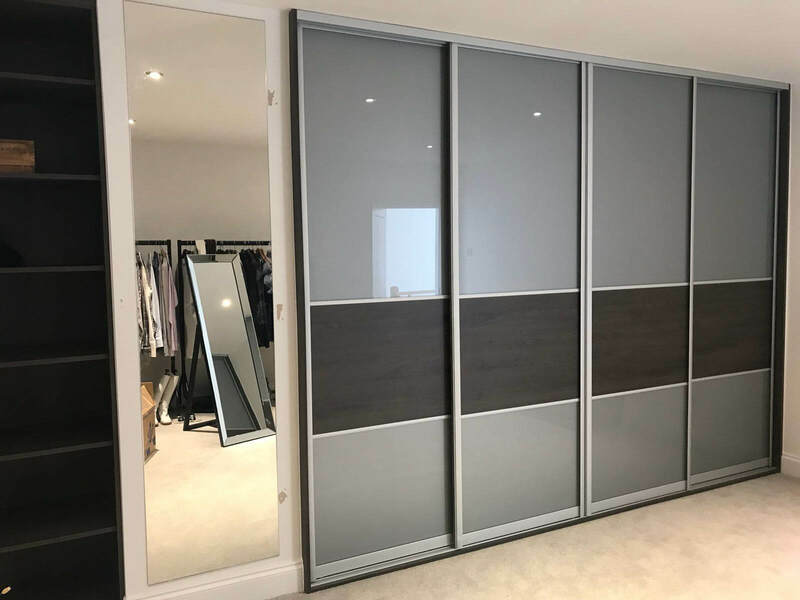 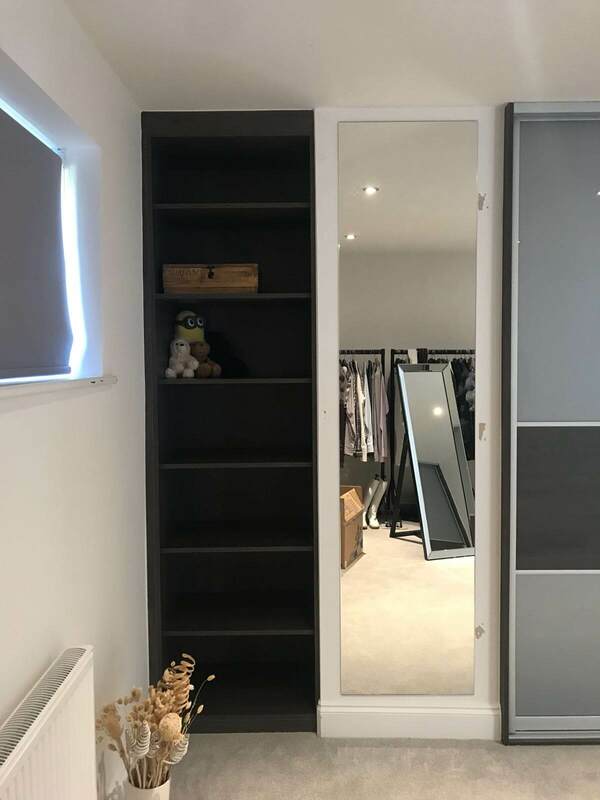 Our guys ripped existing wardrobes out entirely and replaced both the main bedroom and spare room with sliding wardrobes. 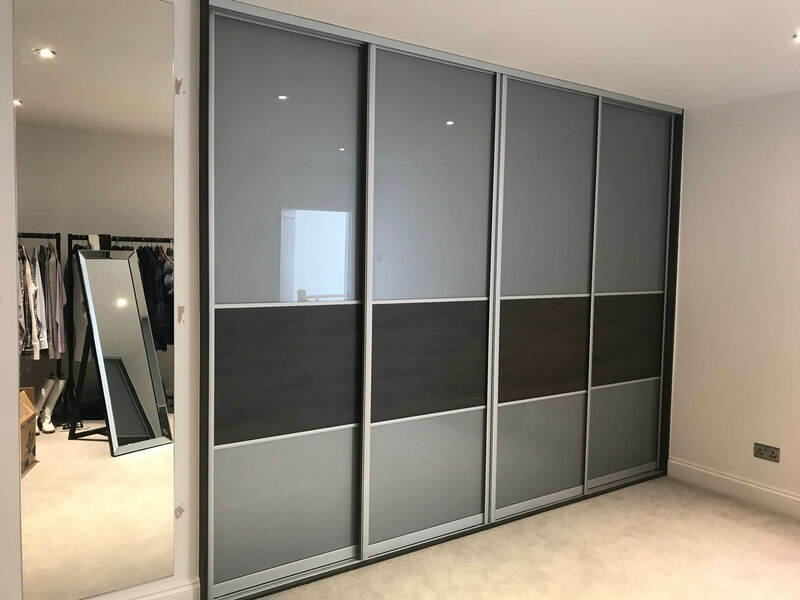 Both with silver contour frame doors with a graphite Denver Oak centre. 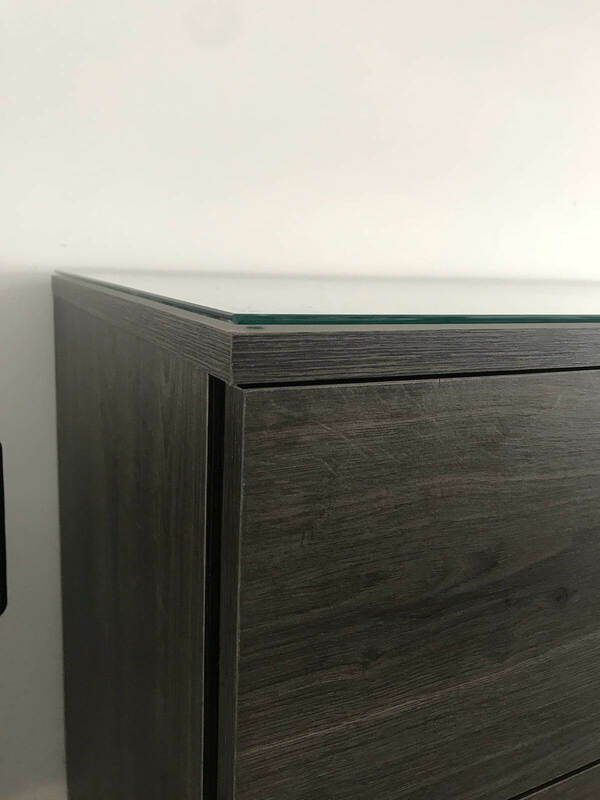 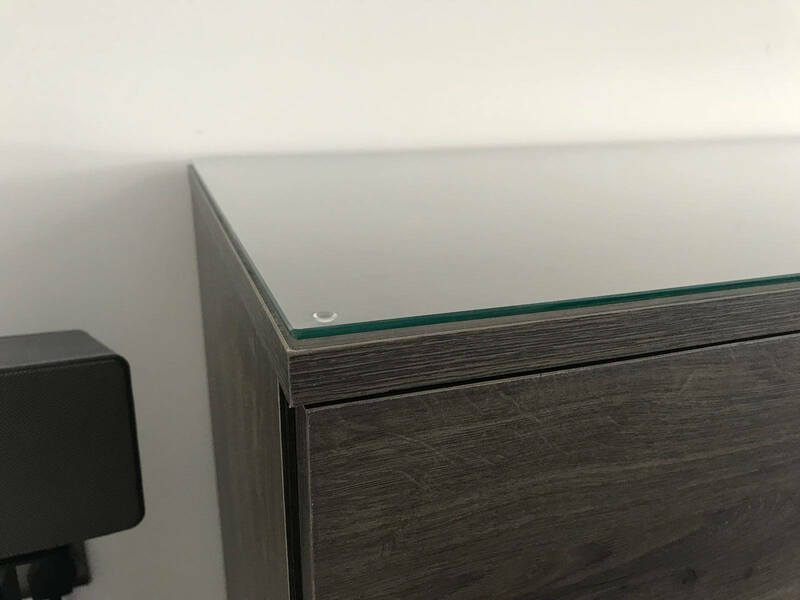 All side units and vanity also in Denver Oak push to open draws and toughened glass tops for that seamless finish. 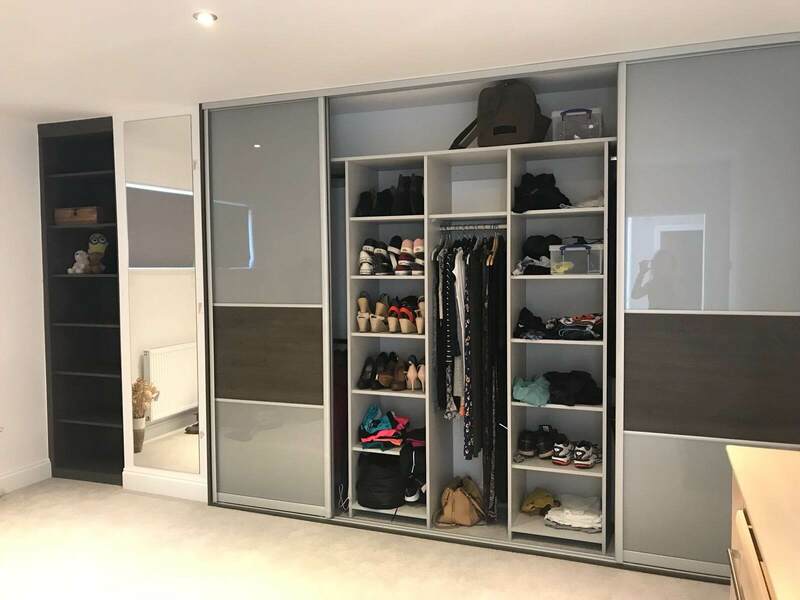 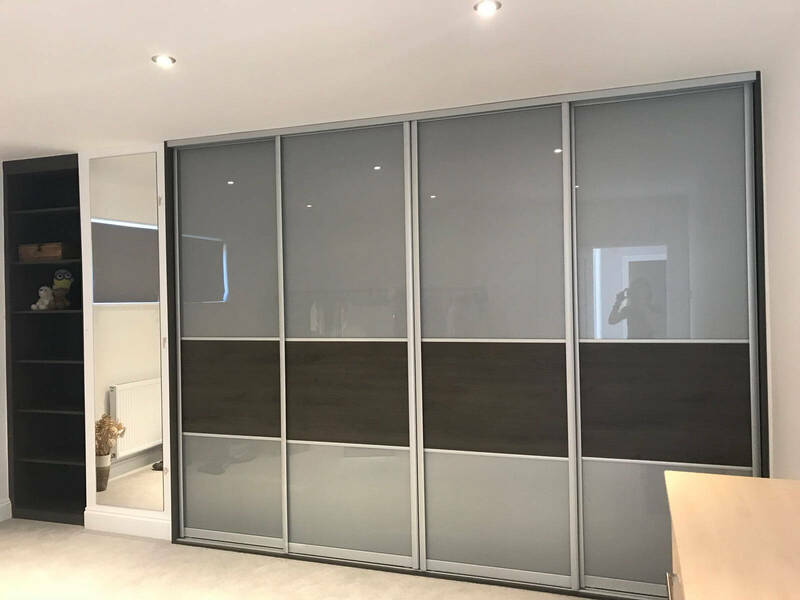 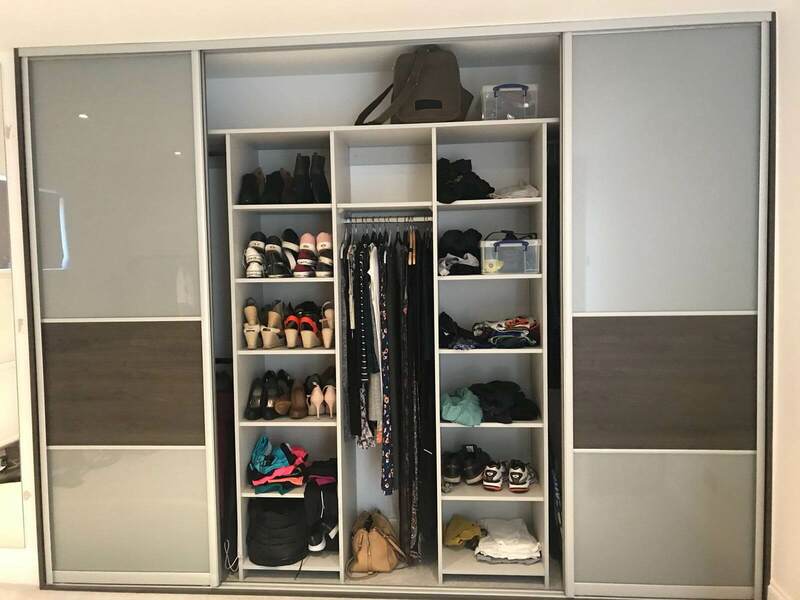 All wardrobes include bespoke frameless mirrors and bespoke shelving units. 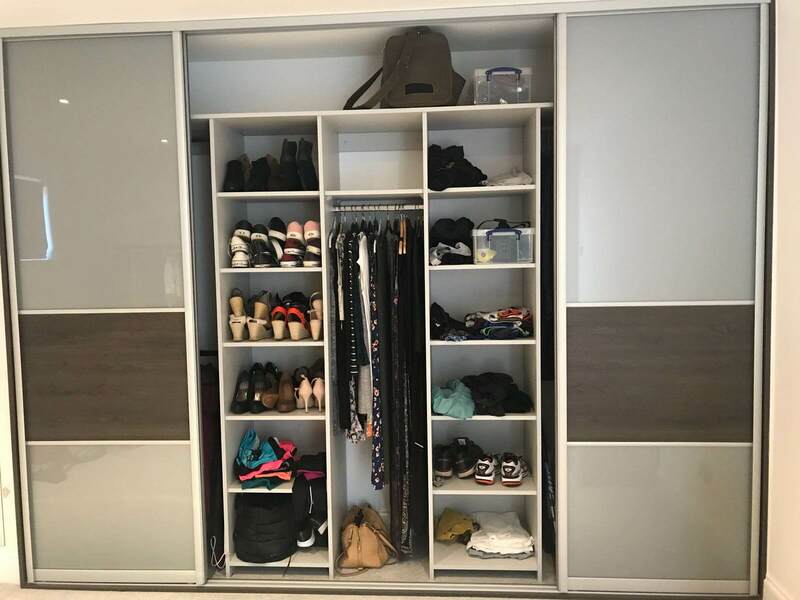 Full installation took three days to complete.